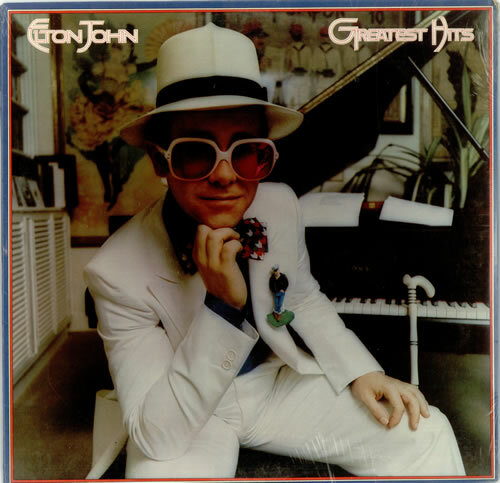 Elton John is finally part of the World’s Greatest Hits and it’s appropriate that it’s his very first compilation that became his biggest seller of all time. There’s something to admire about hits collections like this – just 10 tracks long, there’s only room for key singles from the albums from the first five years of his major commercial career. In retrospect the absence of anything from his Madman Across The Water album, most notably future Elton John classic Tiny Dancer is noticeable, but outside of that everything here is hit after hit. Don’t Let The Sun Go Down On Me is still a triumphantly epic vocal performance, while Rocket Man captures this expansive sound that few songs have matched in the decades that followed. The most uptempo numbers end each side of the record, with Saturday Night’s Alright For Fighting and Crocodile Rock still as toe tappingly catchy as I imagine they were over 45(!) years ago. Of course it’s the ballads that Elton John is most known for and the likes of Goodbye Yellow Brick Road and Daniel capture a narrative led style that puts John alongside the country greats on the other side of the Atlantic. It’s interesting that Bennie and the Jets appears on only on the US version of the album, while internationally the superior and now iconic Candle In The Wind represents one of the many classic songs from Goodbye Yellow Brick Road. That leaves just opener Your Song, which, despite being Elton’s breakout hit, remains one of his most remarkable moments as a songwriter. As a hits collection, this is undeniably brilliant. The sequencing is fantastic, with each side of the record flowing like an Elton John performance would. He may have continued to have a series of successful singles in the years to follow, but song for song, there’s not much else you could want from a Greatest Hits collection from one of the 70s most memorable performers. Will I listen again? : Definitely, as well as finally giving his albums a listen. Best Track: There are a few songs on this album that could compete to be my all time favourite Elton song, Your Song and Rocket Man are undeniably great songs, but there’s magic in the way he sings Don’t Let The Sun Go Down On Me. It’s an emotional record that has seen so many memorable performances over the years and sits here as my own personal standout. Tags: Don't Let The Sun Go Down On Me, Elton John, Greatest Hits, Rocket Man, The World's Greatest Hits, Your Song. Bookmark the permalink.